I’ve seen these slightly-creepy statues of a guy carrying his mother in various places in Japan, and always wondered what they were. They’re called kouyou no zou (filial-piety statues), and it turns out they’re of a guy named Sasakawa Ryoichi, whose name will probably ring a bell if you’ve read David Kaplan’s book Yakuza. He was a fascist and was arrested as a class A war criminal after WWII. Despite having run a huge fascist organization and recruited a 150,000 man army that plundered China, trafficked in opium, and committed war crimes, he was let go because there was not enough evidence against him (although some say it was because America wanted to use the right-wingers to fight communism). So by now you’re probably asking yourself why there are statues of the guy all over Japan. Well, the reason is that after getting released from prison, he used his money and political influence to get motor boat racing legalized as a form of gambling. Motor boat racing (kyotei) is one of only four types of gambling that are legal in Japan, and earns billions of dollars every year. The money goes to the Nippon Foundation, and does do a lot of good charity work, supporting the United Nations and many important charities in the country. Another thing it does, is put up these weird statues of Sasakawa and his mother all over the country. They’re outside every motor boat racing track, and also in front of a lot of the museums and cultural facilities that the the Nippon Foundation finances. This one is in front of the Maritime Museum in Tokyo’s Odaiba district. The statues are just as odd as the man. Most of them were put up while Sasakawa was still alive, and he was present at the unveilings of many of them. Many Japanese people still remember the TV and newspaper ads he bought, ostensibly promoting family values, but many people got the impression he was more interested in promoting himself. The statues appear to be his idea, and all of them have a tear running down his face as he carries his mother up the 785 steps of a temple in Shikoku. If you look him up on the Internet, about half the information will be about his charitable work, featuring photos of him jogging with Jimmy Carter or chatting with the Pope. The other half will be his mug shots, or him having a good time with Mussolini. the image of Sasakawa is very similar to a part of the origin mythos of the Rev. Moon. Kaplans book was a great read; but i wish there was an update to it. or that some one would author a post 2000 era book of the same scoop as his; I think times have changed dramatically for the yakuza. Following the activities of the Unification Church in the Netherlands since 1975, I discovered the alliance between the Rev.Moon and several Yakuza Chiefs like Sasakawa, Kodama, and Kishi, who were released from Japanese prision in 1948 under an agreement with the U.S. Military and the U.S. State Department. Soon after this alliance went into effect in 1967, the korean church’ membership increased significantly in Japan. Until this date Moon’s revenues have not been disclosed. Most likely it is being generated through the secret services of South Korea, Japan, USA, apart from the profits of the UC own enterprises like Tongil Industries, which is still manufacturing weapons for the Defense Industry of the ROK, and True World Foods, which is engaged in the distribution of Sushi all over the U.S.. Sasakawa founded his Peace Foundation in Tokyo following the Peace Projects of the UC since Victory over Communism in 1990. He donated millions to Unesco and his bronze statue is still decorating the entrance of the WHO-building in Geneva since 1977. Because of his philantropic gestures, the japanese businessman and political fixer hoped to receive the Nobel Peace Prize. He was also successful in capturing goldbars from a Russian warship “Admiral Nabokov”, as reported in Newsweek Magazine in the early 1980’s. His son came to visit the University of Utrecht in the Netherlands with a donation of One Million Dollars in 1994 , that was chosen to support the department for Immigration and Asylum, headed by Prof. Han Entzinger. 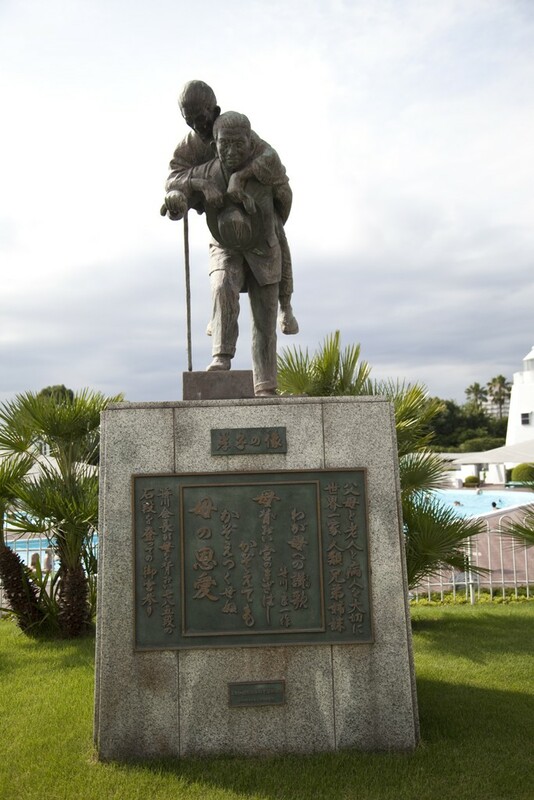 Sasakawa also supported the World Food Project in Africa, founded by a Nobel Prize Winner called Norman Borlaugh. Reverend Moon received political support from President Park in Seoul through the director of the Korean CIA and prime minister of the ROK, diplomat Kim Jong Pil since his holy marriage in 1961 with his third wife Hak Ja Moon. This explains also the support Moon received from U.S. Presidents Nixon, Reagan, and Bush after his arrival in the U.S. Since his business enterprises are used to exchange money from Japan to the U.S., apart from the bank he owns in Uruguay, his organisation has been attacked by several critical observers as a Drug Trafficking Enterprise as well, especially during the War in Nicaragua (1983-88), when the Contra Guerilla Force was dealing cociain in exchange for weapons, that was then sold by drugpeddlers on the streets of Los Angeles. This illegal undertaking was covered up by the CIA in Langley, Virginia as part of the so called Phoenix Program, described by several authors such as Hendrick Kruger and Peter Dale Scott. The moonie leadership was also engaged in the 1980 Coup d’Etat in Bolivia together with Klaus Barbie, a notorious Nazi commander, in service of the intelligence community since his escape from Germany. Although U.S. Foreign Policy is now controlled by President Barack Obama in stead of a Republican Party member, and the War with Communism has ended in Latin America as well, the History of the Unification Church is clouded in scandals and the most ridiculous ceremonies with reference to their marriage tradition rules of engagement, and their revelations from the Spirit World. I am now working on a book in the english language, that covers the complete history of “Prayer, Politics, and Power” and its alliance with the intelligence community. Best wishes for New Year, Your moonwatcher in Holland.